Sherman's Food Adventures: Congrats to the Winners!!! 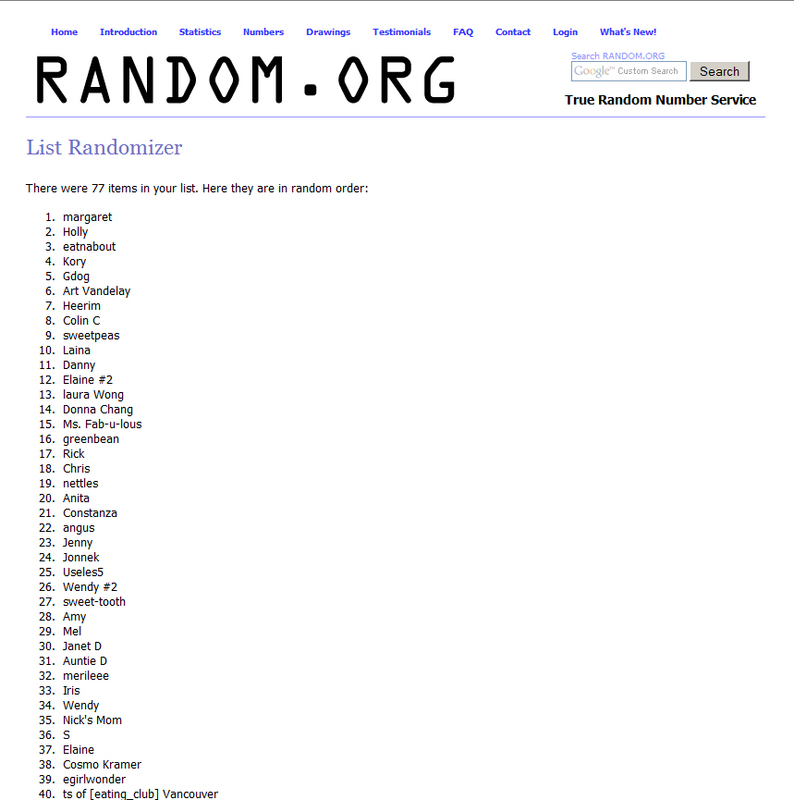 Alright, first and foremost, thank you for everyone who entered the draw. Second, thanks for the kind comments, I really do appreciate it! 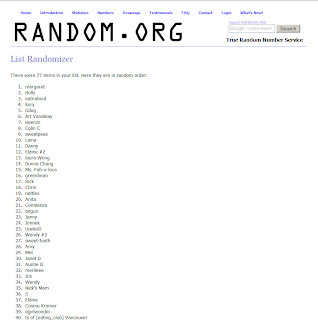 So after I entered all the names into Random.org, it came out as the picture shows. I'm taking the top 3 names and awarding them a $50.00 gift certificate each. So I'll need an email from Margaret, Holly and Eat 'n About, so I can arrange for delivery of the prizes. Margaret received a gift card from The Keg, Holly and Wendy received gift certificates to The Cannery. Thanks again to everyone who entered and congrats to the winners! Congrats! I hope you enjoy it. Any ideas when the Cannery is re-locating? Anson, your post somehow didn't work, some type of error. However, in terms of your questions, I'm not even sure if they will relocate, they might close altogether. We'll have to wait and see.